Need an idea for a fabulous personalized gift? How about beautiful hand engraving on wine and liquor bottles! Wine and liquor are always appreciated as gifts, and they look amazing when engraved! The recipient may even ask you to share the bottle with them! PenDance offers engraving on wine and liquor bottles for customers who can deliver and pick up from our home studio in west Houston. 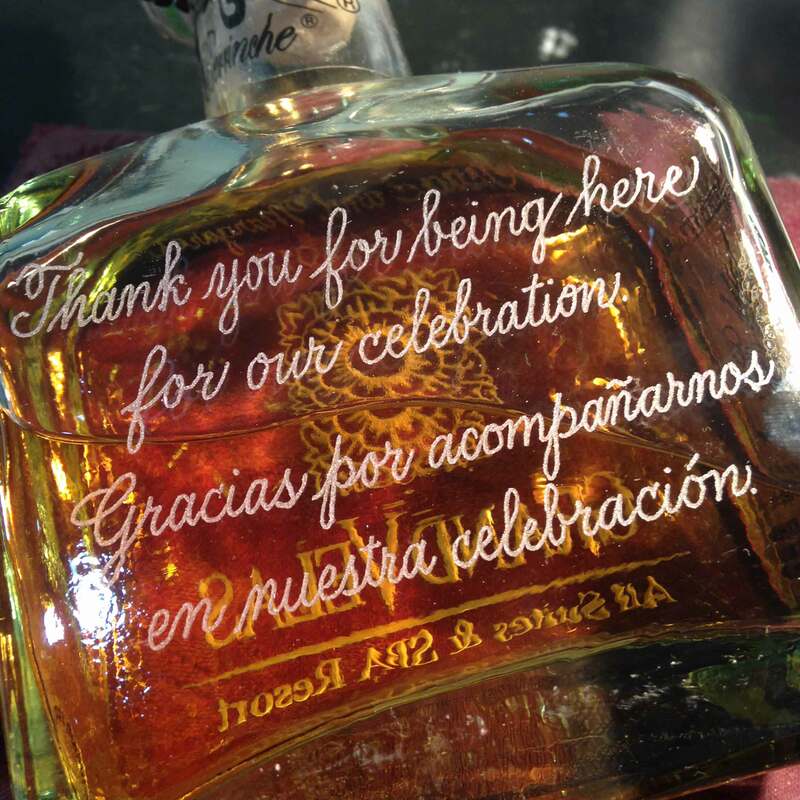 You can request a quote for engraved bottles by contacting us! Most orders can be turned around in 5-7 business days. May mirth & merriment fill your days. ____ & ____, wishing you all the best in your new life together! Wishing you all the best in your new life together. May your love grow more beautiful with each passing year. To Hug and to Hold From This Day Forward. Welcome to the Night Shift…the Hours Are Lousy but the Benefits are Great! Your love has helped make the world such a wonderful place! Thinking of you with love today and always. With love to you – happy father’s day! Thanks for giving me the finer things in life… Your time, your care, and your love! Like a fine wine, our love grows richer with each passing year! Especially for you, with heartfelt gratitude.